If it is your first time applying for a mortgage, there are a number of terms you should know. Educating yourself on the various mortgage terms you will run into will help you make better decisions when deciding which home you want to purchase. When you sign a mortgage contract, your home is used for collateral and it is your responsibility to make sure your payments are made on time each month. The first term you should know is principal. The principal is basically defined as the amount of money you borrow for your home. Before the principal is provided you will need to make a down payment. A down payment is the percentage you will put towards the principal. The amount of the down payment will often depend on the cost of the home. Once you pay off the principal, the home is yours. The next term you will need to know is interest. Interest is a percentage that you are charged to borrow a certain amount of money. Along with the interest rate, lenders may also charge you points. A point is a portion of the total funds financed. The principal and interest makes up the majority of your monthly payments, and this is a method that is called amortization. Amortization is the method by which your loan is reduced over a given period of time. Your payments for the first few years will cover the interest, while payments made later will be applied towards the principal. A portion of your mortgage payments can be placed in an escrow account in order to go towards insurance, taxes, or other expenses. The next term you will hear a lot is taxes. Taxes are the amount of money that you have to pay to your state or government. When it comes to your home, these are known as property taxes. These taxes are used to build roads, schools, and other public projects. All homeowners must pay property taxes. Insurance is another important term that you will hear in the real estate community. You will not be allowed to close on your mortgage if you don’t have insurance for your home. Home insurance covers your home against floods, fire, theft, or other problems. Unless you can afford to repair your home if it is damaged, it is usually a good idea to get insurance for your home. If your home is located within a zone that is known for having floods, federal laws may require you to have flood insurance. If the down payment you put towards your home is less than 20% of the total value, you will often be charged additional premiums on your insurance by the lender. This is done to protect you in the event that you default on your loans and fail to make payments. Without this, many people would not be able to afford a house. In most cases once you have paid off about 78% of the home, the lender will stop charging you insurance premiums. These are the basic terms you will need to know before your purchase a home. Understanding these things will allow you to avoid many of the pitfalls that exist in the real estate field. You want an interest rate that is low, and you should always try to get a fixed interest rate if possible. This will allow you to focus your income on making payments towards the principal, and this will help you pay off the loan faster. A mortgage is an important part of your financial picture, and you want to make sure you pick a home that you can afford. If you fail to make your payments, you may lose your house. 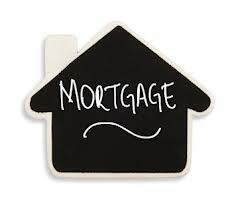 If your looking for to refinance your mortgage in Oklahoma, Contact the TOP Rated mortgage lender ZFG Mortgage Today.